Paradise is just a click away! Enjoy a fruity tequila sunrise while vacationing at the Tequila Sunrise Villa (RIC TEQ) located on the beautiful Caribbean island of Anguilla. Feel extra special when you vacation here knowing it was featured as a prize on the well-known television show, “Wheel of Fortune”. This 5000 sq. 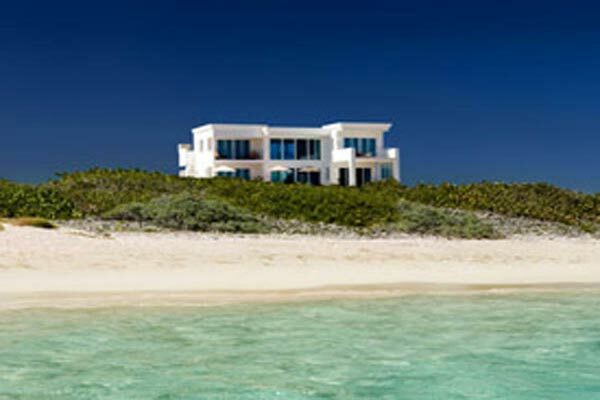 ft beach house is situated on Dropsey Bay on the secluded southern coast of Anguilla. This gorgeous, private villa retreat is one that your family and friends will thoroughly enjoy. Each of the 3 master suites includes its own modern bathroom along with a private ocean-facing patio that would be a prime location to get lost in that new novel you purchased. The large expanses of glass doors and windows throughout the house optimize not only panoramic views of the ocean, but also miles of the surrounding luscious green landscape. Become one with nature and embrace the beach at your fingertips with activities such as snorkeling, fishing, and surfing right in your backyard. The toughest decision you should have to make at Anguilla’s Tequila Sunrise Villa is where on the pool deck to lounge in order to soak up the most of those Caribbean rays, or where on the deck you can acquire the best view of the surrounding islands. Relax on a pool raft to let your mind drift away to the lulling sound of the ocean waves crashing on shore. Now doesn’t that sound awesome?! But wait – it doesn’t end there! Golfers staying at Villa RIC TEQ receive one complimentary 18 hole round of golf and a $25.00 lunch credit to Barrel Stay or Straw Hat along with continental breakfast daily and best of all, ALL THE PATRON SILVER TEQUILA you can consume. WHOA! Now that’s a deal! 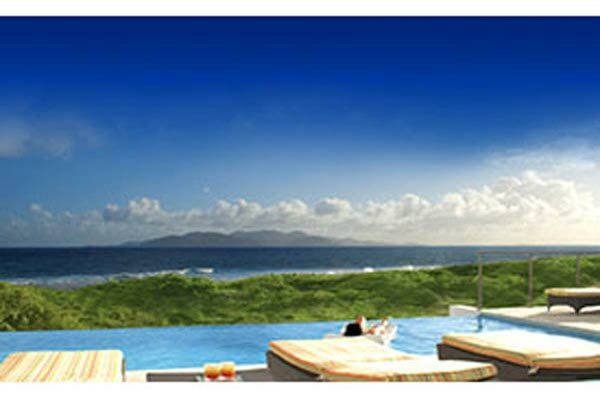 Find out more about Anguilla and RIC TEQ and plan your villa vacation with WIMCO today!